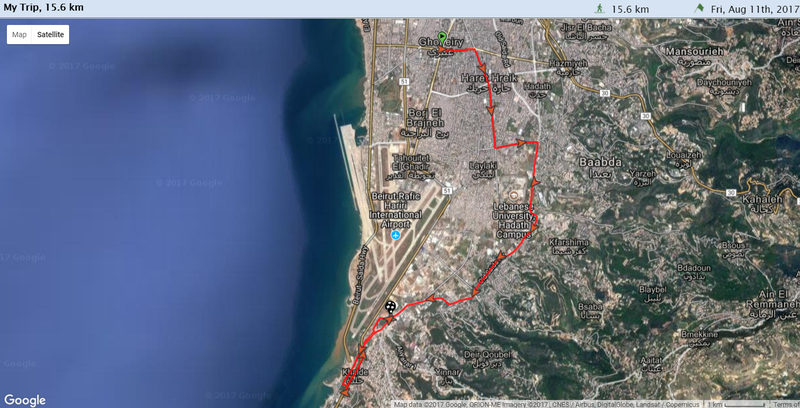 This summer, Bus Map Project gathered a team of volunteers from AUB with one aim: tracking as many of the bus routes that originate from Beirut as humanly possible. In this past month of August, we drew our focus on the Cola hub, a well-known transit intersection in the capital, to list and track all the routes departing from there in a grassroots and organic way. 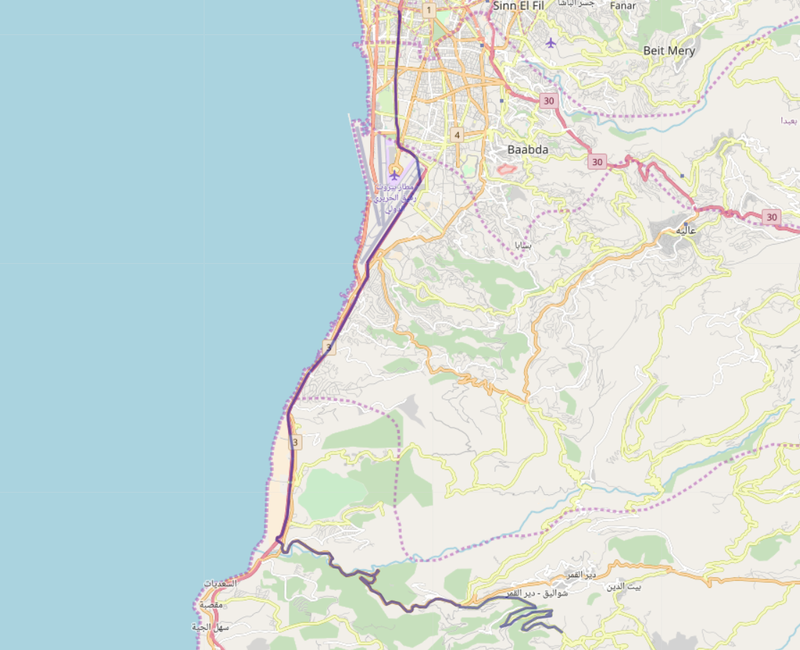 The ultimate goal of this collective mapping action is to produce a map pieced together by individual transit users so that more people get to know and trust this dynamic system of buses in Lebanon. 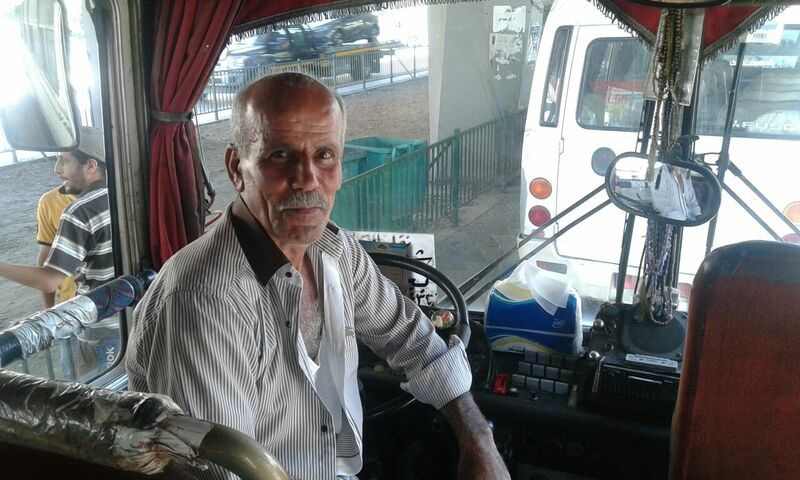 This is Ali, a driver we met while scanning the hub; he drives the oldest bus in Cola, dating back to 1973. To the eye of the novice, getting around the Cola intersection can seem like an impractical imbroglio. However, as soon as one starts opening her eyes and engaging with riders and drivers, the entangled web of routes becomes almost limpid — maybe even enjoyable. 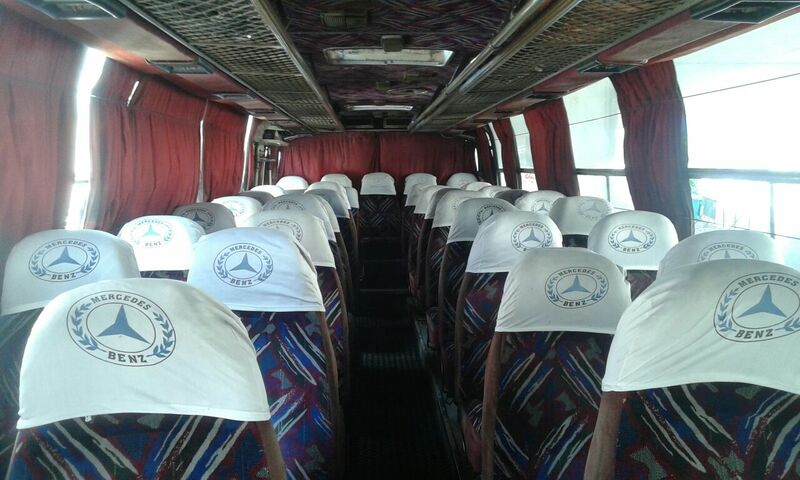 To palliate the deficiency in state organization, the informal transit built its own tanzim, with bus stops for every route, coordination between different lines that pass through the same cities, and sometimes even set timetables. To get a sense of the full scope of the hub, our first step was to collect routes by word-of-mouth, or more specifically, word-of-twitter. We then went to Cola one morning and engaged with the drivers and riders to actually “scan” the hub, to get a clearer understanding and list all the routes originating from Cola. 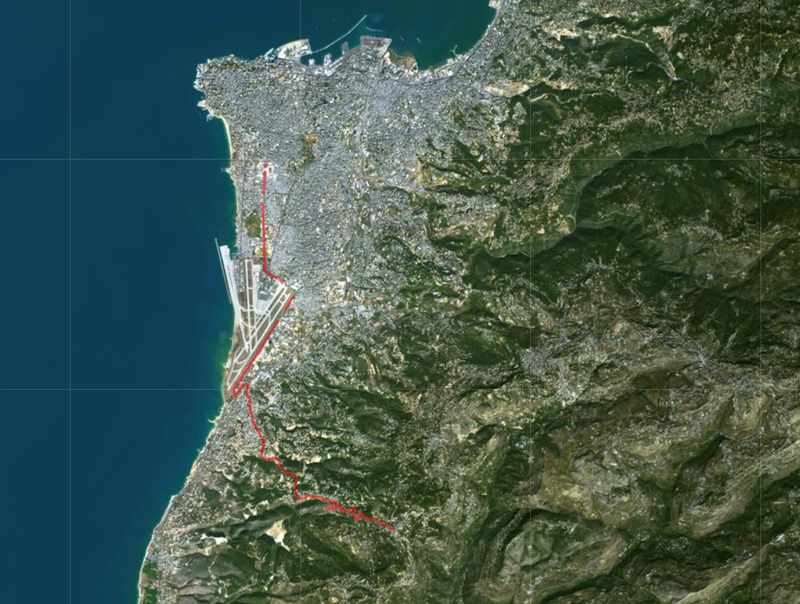 Once our list of almost 30 different routes was organized, our Collective Map Action truly began: the team of volunteers started tracking the routes and criss-crossing Lebanon to gather not only geographic data (i.e. point A to point B), but also facts on sizes of fleets, timetables, frequency of trips and prices of tickets. For as little as 1500LL, the Collective Map Action provided us with a unique opportunity to (re)discover some beautiful — and less beautiful — places of Lebanon, and simply enjoy the feeling of drift and lull that takes over when one rides the bus only for the sake of discovery. Here, the first difficulty arose: while there indeed is a regular van that ends at Aramoun, the drivers often continue to Qabr Chamoun when some clients want to get there; this is what happened the two times we tried to track the van, raising the question: to what extent is it possible to produce a formal map that faithfully reflects a truly informal system? And shouldn’t this informality, instead of being seen as a lack of organization, be considered a dynamic and flexible vector of increased mobility? The design challenge is an exciting one, as any map worthy of reflecting Beirut needs to figure out how to communicate these nuances. While a major “edge” that our team has is that we indeed daily users of buses for commuting or for travel, this was a gentle reminder to be careful about exoticizing or objectifying ‘bus culture,’ and to keep in mind that public transport is always primarily a fulfillment of a basic economic and social need, and not some kind of privileged surrealist experiment. Finally, this month brought to the fore the real value of privileging a grassroots approach to mapping, instead of conveniently having one single person track all the routes. While a collective approach is harder to manage, organize, and takes more time to build up momentum for, this methodology benefits from diverse perspectives, insights and experiences, and contributes to creating a map that reflects the realities of as many riders as possible. This, in turn, works to open up a conversation about broader social and developmental issues.